Yorktown Heights drivers can rely on us for a stress-free and successful used car-shopping experience. Schedule a test drive online today! 2011 Jeep Liberty Sport Blackberry ***NEW BRAKES (PADS); SAVE $$! ***, ***BLUETOOTH***, ***PREMIUM WHEELS***, 4WD. Clean CARFAX. Odometer is 8215 miles below market average! We have access to hundreds more used cars, so if you're not sure this is what you're looking for, give us a call today (914-737-3500) and we will work to make your vehicle research process as easy as possible. Nissan of Yorktown Heights serving Westchester, Mount Kisco, White Plains, Putnam Rockland and Dutchess Counties is number one Nissan Dealer in the area for customer satisfaction, call or click today to schedule a test drive or reserve a vehicle. 2012 Jeep Liberty Sport Bright White ***NEW BRAKES PADS & ROTORS***, ***DEALER MAINTAINED***, ***BLUETOOTH***, ***PREMIUM WHEELS***, 4WD. We have access to hundreds more used cars, so if you're not sure this is what you're looking for, give us a call today (914-737-3500) and we will work to make your vehicle research process as easy as possible. Nissan of Yorktown Heights serving Westchester, Mount Kisco, White Plains, Putnam Rockland and Dutchess Counties is number one Nissan Dealer in the area for customer satisfaction, call or click today to schedule a test drive or reserve a vehicle. Why Buy a Pre-Owned Vehicle from Nissan of Yorktown Heights? 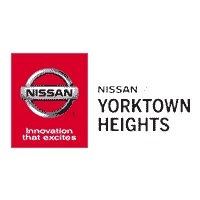 Nissan of Yorktown Heights is proud to offer quality used cars from a variety of brands. We offer plenty of financing options, so you can find a payment that works with your budget. Our team works hard to secure the best rates and terms available, ensuring you get a car that you both love and can afford. Want to make your vehicle purchase even more affordable? Trade in your current vehicle!